The heavy-weight of the filler world, this fast-drying gypsum-based interior filler for smoothing, plastering and filling large surface damage, holes or cracks. Part of the Dunlop Pro Décor range of wall fillers and smoothers, Interior Filler is brilliant white and easy to use. Ready in no time at all, it can be built up to 30mm thick and is tension free. Once applied, the filler creates a smooth finish and will not crack. The surface can be smoothed with a damp sponge and then re trowelled if necessary once hardening commences eliminating the need for sanding. Even at very thin bed depths the product creates a hard, crack free and sound surface which is not affected by wallpaper adhesives, water or solvent based paints. 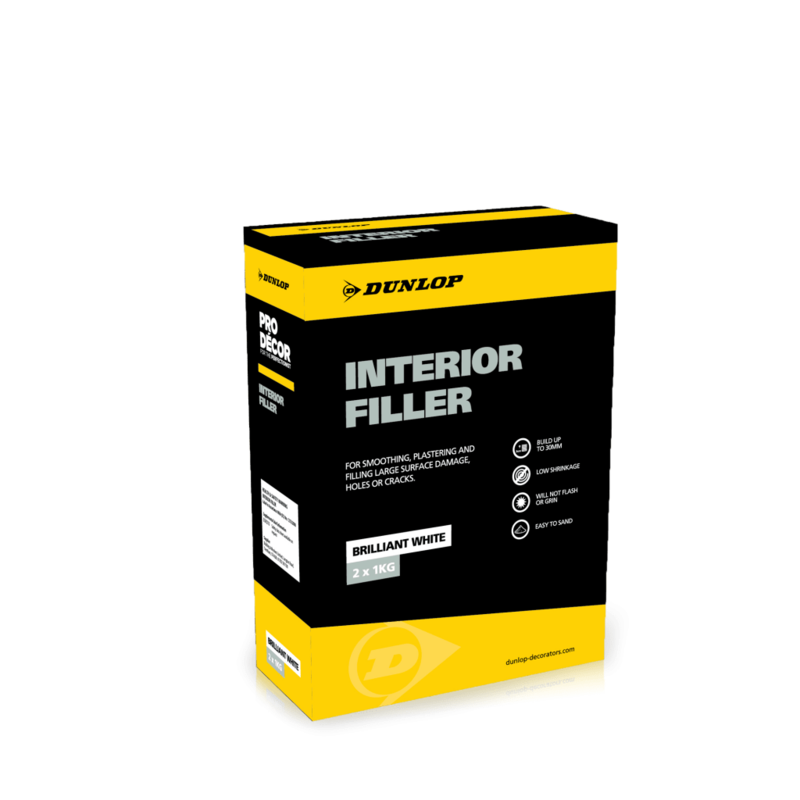 Available in 2kg and 5kg, Dunlop Interior Filler is paintable in 5 hours.